Paul Seeley is an associate in the Business Trial Practice Group in the Los Angeles office of Sheppard Mullin Richter & Hampton LLP. Mr. Seeley has experience in a broad range of business litigation matters, including consumer class actions, products liability, insurance litigation, and real estate disputes. 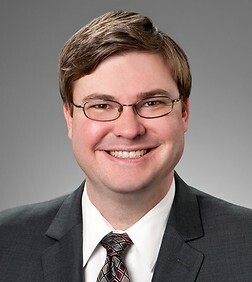 He has represented clients accused of violating California’s consumer protection statutes, including the Unfair Competition Law, False Advertising Law, and the Consumer Legal Remedies Act; clients involved in shareholder disputes; clients accused of defamation, and clients involved in commercial contract disputes. He was part of the trial team that secured a judgment of over $50 million on behalf of a client who was the victim of a workers’ compensation insurance fraud scheme designed to avoid paying the proper premium owed. Mr. Seeley's primary area of focus is consumer class actions. He has worked on all aspects of consumer class actions, including opposing motions for class certification, and has written extensively about class action litigation in the food and beverage industry. Mr. Seeley’s experience covers all aspects of litigation, from filing or responding to complaints, through pre-trial remedies (including Anti-SLAPP motions, injunctions or receiverships), discovery, summary judgment, trial, appeal, and judgment enforcement (including spearheading the enforcement of a $12 million judgment that brought the parties to the negotiating table for fear of losing their business). Mr. Seeley is active in the Firm’s pro bono activities, particularly in the adoptions of children in California’s foster care system. In recognition of his work, the Firm named Mr. Seeley the Bob Gerber Pro Bono Attorney of the Year for 2012.